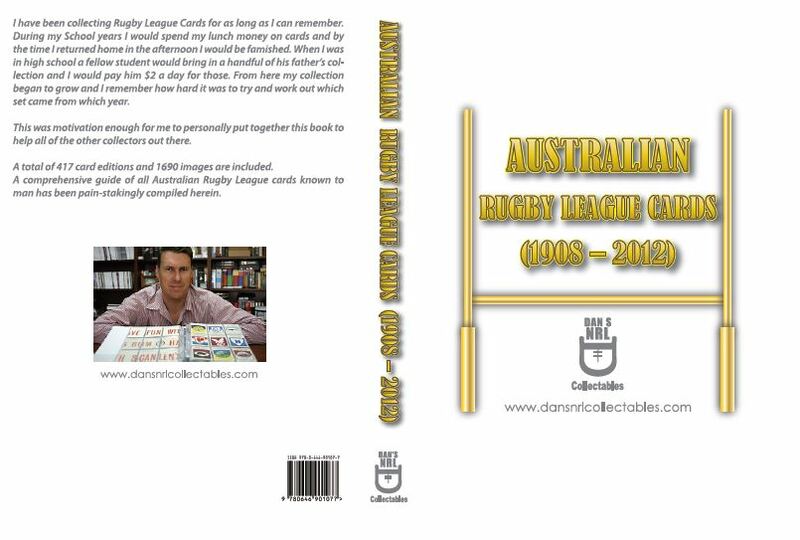 This is a very limited Hard Cover release of the Australian Rugby League Cards 1908 - 2012 Book. Only 50 Copies are available and once sold they are gone. The book is Professionally Section Sown. 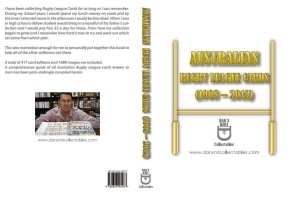 Each edition is numbered out of 50 in red ink from a steel numbering machine. 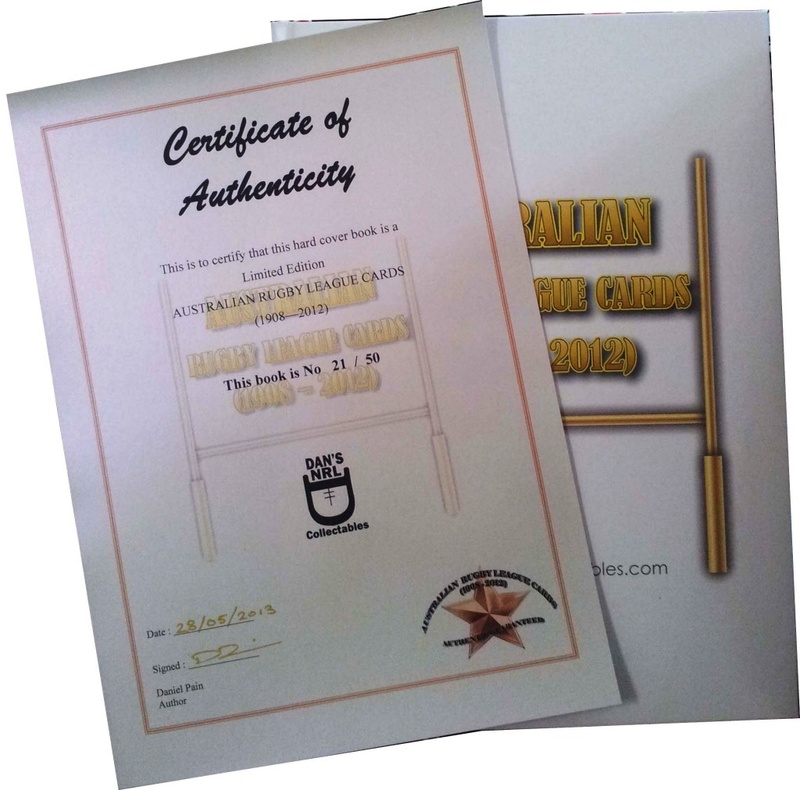 Each edition is hand signed in gold ink. Numbering of this book is strictly in the order of purchase. Once these are sold out they are gone.